JT Stead became the Student Ministries and Outreach Pastor at Harvest Rockford in June of 2017. 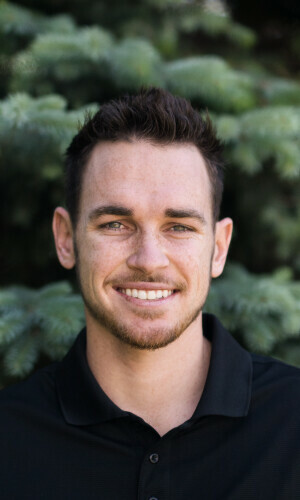 JT was born and raised in Southern California where he grew up in a home with parents who loved God, taught their kids the gospel, and loved youth ministry. In his 8th grade year, the Lord opened his heart and saved him at a student ministries summer camp. From that point on a love and passion for youth ministry, preaching, discipleship and the local church developed in his heart. At 19 he moved out of his house to serve as the Junior High Director in Thousand Oaks, CA. It was during those 2 years the the Lord would greatly challenge him, and call him to full-time pastoral ministry. He then went and graduated from The Master’s University after 2 years with a degree in General Communications and a minor in Bible, while serving in High-school ministry as a leader. During those 2 years at Master’s he would fall in love with who is now his beautiful wife Kaitlyn - his partner in ministry and greatest source for Joy in Christ. JT’s passion is to see students saved by the gospel of Jesus Christ and to see believers grow in their love for God and people.